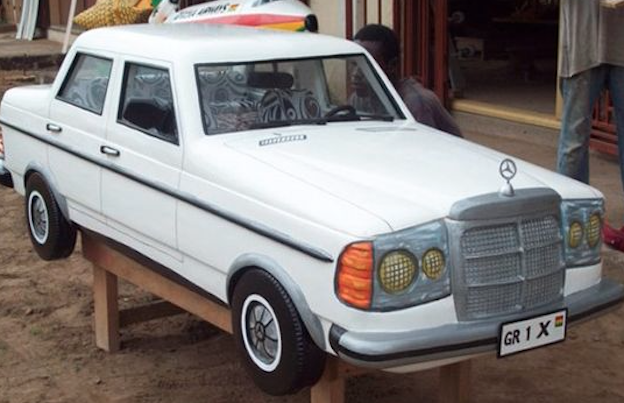 The business of coffin making in Ghana is taken to an art form. Coffins are still built by hand to order, by joiners in their rickety workshops. These can be found on the outskirts of all towns and large or remote villages. 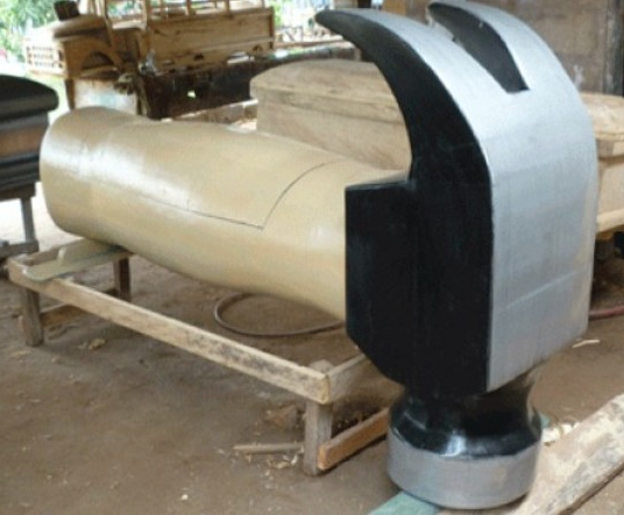 Families of the deceased will commission a coffin maker to create a coffin that reflects the spirit, interests or livelihood of the dead family member. 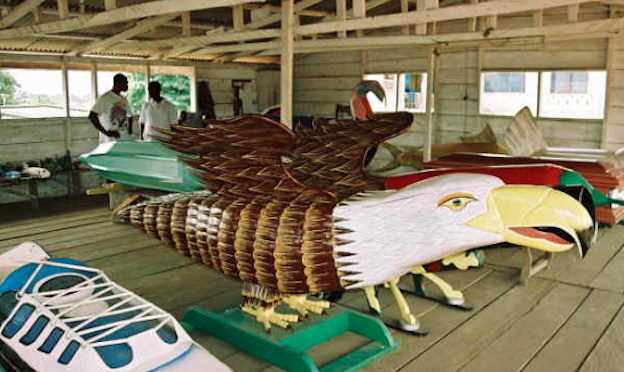 Eagle eyed travellers through Ghana can be rewarded by seeing caskets fashioned by craftsmen in a multitude of forms, Thus a fisherman may be encased in a boat or fish shaped coffin, a farmer in a cow or chicken shape, a taxi driver in a car shape, a pilot in an aeroplane and so on and so forth. Your imagination really is the limit, though it is not clear how sewage workers are immortalised! 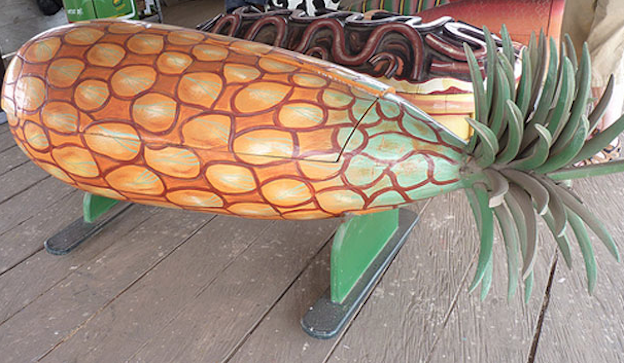 Pineapple Shaped Coffin – presumably for a farmer. 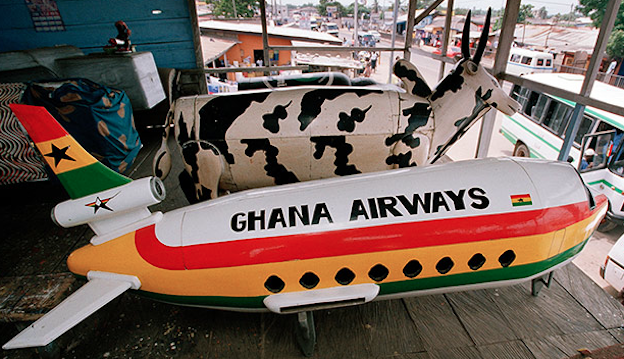 Aeroplane & Cattle Shaped Coffins – presumably for a pilot and farmer respectively. Hammer Shaped Coffin – presumably for a carpenter, or coffin maker. Bird Shaped Coffin – presumably… I haven’t a clue! !